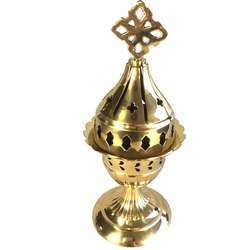 This box of wicks oil lamp is the perfect complement to the oil lamp available in the accessory category of our religious shop. It contains a float with 32 wicks. The principle is very simple: the float is drilled in the center of a hole in which one slips a wick. it is equipped with a small aluminum disc; in this way it rests easily and stably on the float. Once the wick is positioned on the float just put it all in the oil lamp that was previously filled with edible oil (not supplied); the most appropriate vegetable oil recommended by the manufacturer is ISIO 4 oil. If you do not use this oil, you will have smoke, an unpleasant odor and the wick will burn faster. Customers have already done this experiment. Note: Before placing the float on the oil, it is advisable to raise the tab of the float a little, so as to have an easy grip when you want to remove the float from the oil lamp. 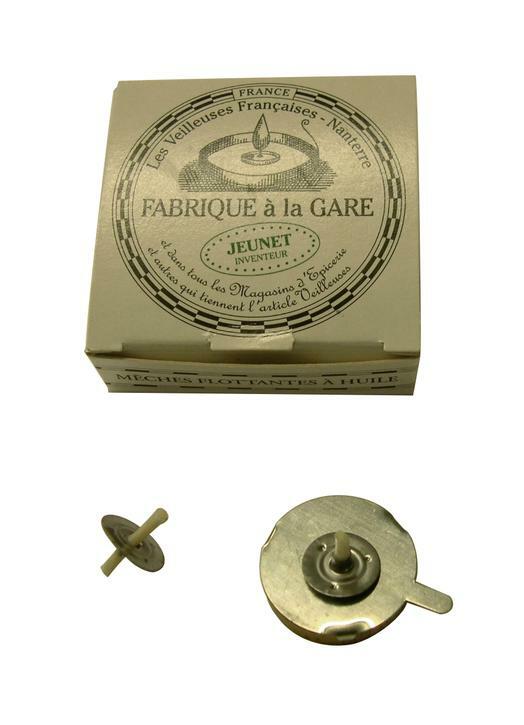 Each wick is provided with a disc which separates the wick into two unequal lengths; the longer part should be facing upwards; it's this one you'll kindle. Duration of a wick: about 24 hours of continuous use. Warning ! The duration of a wick can decrease from 2 to 3 times depending on the oil used. For example with rapeseed oil a wick does not even hold twelve hours. This principle of wicks for oil lamps is very old; as early as the Bronze Age, men used to light themselves with a vegetable wick braided or twisted into animal fat. Over time the process improved on the one hand by the material used to make the wick itself on the other hand by the kind of the oil used. Then appeared as an alternative to the oil lamp, the torch and the candle. From the end of the 18th century progress was made in the quality of the wicks, burners and with the appearance of mechanics in oil lamps which improved combustion. But the oil lamp was largely supplanted with the appearance of the oil lamp in 1853.